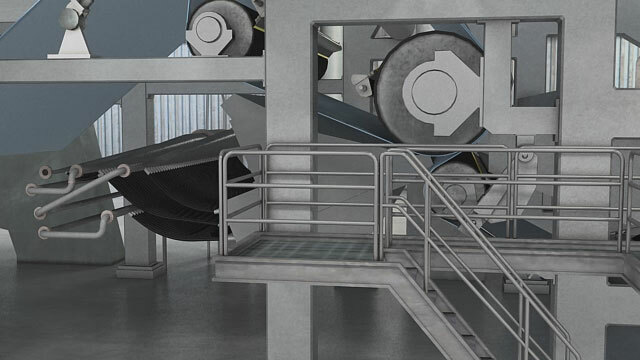 This course describes the role of the headbox in the papermaking process, and then defines the critical features of the stock jet geometry for a hydraulic headbox installed on a modern tissue machine or twin-wire paper machine. It discusses the importance of sheet formation and then describes the stock jet geometries that affect sheet formation and other sheet properties. 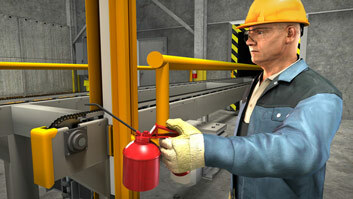 Lastly, it covers some common headbox adjustments and other equipment settings that can affect the stock jet geometry. Define the terms "jet length," "jet angle," and "jet impingement"
Why is sheet formation so important? Formation is important because it affects the appearance and performance of the sheet. It affects appearance in that a well-formed sheet will look very even, and it affects performance because the distribution of fibers directly affects the distribution of fiber-to-fiber bonds which hold the sheet together. If formation is poor, there will be thin, weak spots which will fail under load. What is the "stock jet geometry"? The term "stock jet geometry" refers to a set of measurable, observable physical characteristics of the stock jet after it exits the headbox. Which stock jet geometries are important for a roll type gap former? Jet length, jet angle, and jet impingement are all important. Why is it important to have a short free jet length? 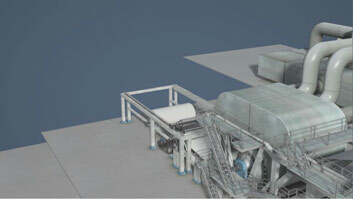 A short free jet length reduces the time available for the fibers to reflocculate before the sheet sets, and if there are multiple layers, it minimizes mixing between the different layer furnishes. Should the angles between the jet and the fabrics be low or high? 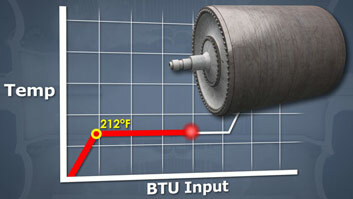 The jet angles should be low because if the jet is directed too much into either roll, water can start "pumping" around the roll, which can disrupt sheet formation. One more sheet attribute that can be affected by headbox operations is fiber orientation in the sheet. 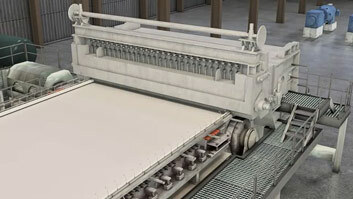 The overall, or average, orientation of the fibers in the sheet is largely determined by the relative speeds (or velocities) of the stock jet and the forming fabrics. Normally, the relationship between the two speeds is expressed as the “jet-to-wire ratio,” where “wire” refers to a forming fabric. In short, if the stock jet speed is significantly lower or higher than the fabric speed, the fibers will align more in the machine direction. 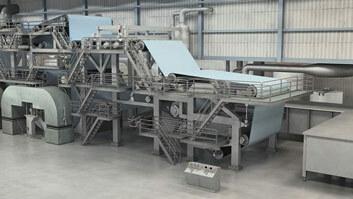 With more fibers aligned in the machine direction, the sheet will tend to be stronger in the machine direction. Sheet formation and sheet appearance are also affected. When the jet speed and fabric speed are close to equal (when the jet-to-wire ratio is close to 1.0), the fibers will be well distributed and randomly oriented in the sheet. Somewhere around a J/W ratio of 1.0, the machine direction (MD) and cross-machine direction (CD) strengths will be about equal and the sheet is called “square.” Formation and appearance are both positively affected by the “squaring” process.